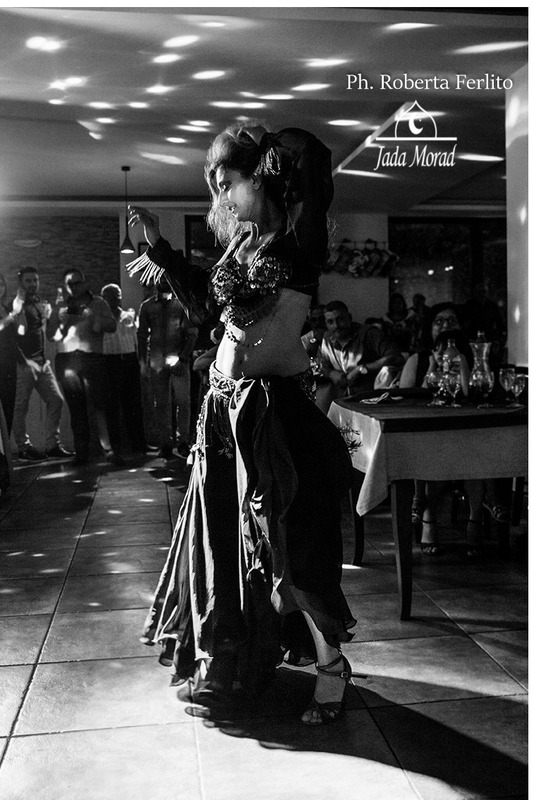 Jada Morad has been training for more than 10 years as a belly dance and has training in the Egyptian Ballet, Egyptian folklore and Israeli dance. She is also a piano bar singer in traditional west songs (Bart Bacharach, Diana Krall, Natalie Cole, Barbara Streisand, Mina, Dalida), an Opera soprano choir and theatrical singer. 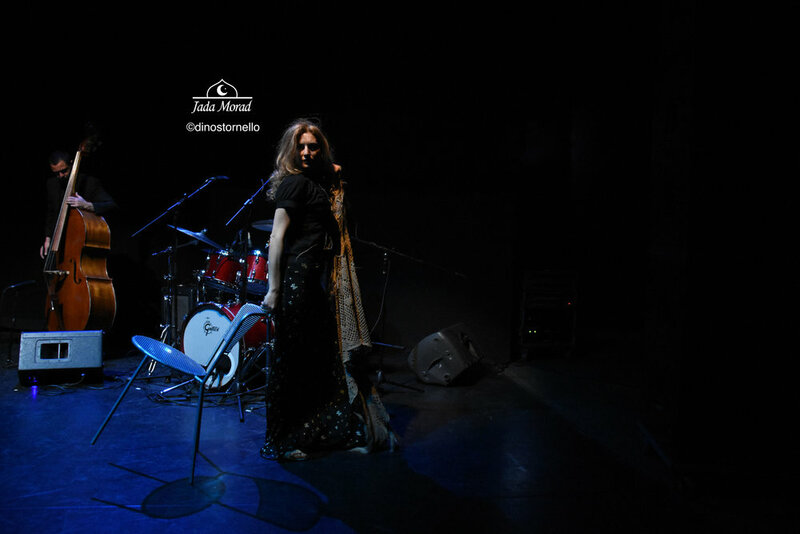 She specializes in Arabic traditional songs as well & traditional Italian known songs. Jada's offerings include singing and dancing performances in collaboration with entertainment companies, hotels, casinos and cruises for events such as parties, weddings, birthdays parties and entertainment events. I’m Jada Morad this is my story. My adventure with the Egyptian dance began in 2003. I followed many courses held by several International masters, among whom Zaza Hassan, Raqia Hassan, Amir Thaleb, Hamada Hossam, Alaa AbouLeila e Medhat Fahmy, Magda & Atif from Reda Group Choreography, Randa Kamal, Sandi d’Ali, Maria Strova, Yasmin Nammu, but most of all I’ve been taught by the Egyptian Master Zaza Hassan. I have learned various dance styles, as well as different rhythms of the Arabian music, the latter thanks to the musician, composer and percussionist Giorgio Rizzo, together with two groups of his. When I started my dance study I felt it necessary to deepen the Egyptian culture, and so I commenced traveling to Egypt and very often to Cairo where I lived the Egyptian way; its smells colors, ancient and modern history, attitudes, vision of life and death, language and its overall culture. I met many friends there, with whom I am still keeping in close touch. Egyptians are incredibly hospitable and I effortless felt home from the very first moment. Another important moment in my training has been going to Bahrain: with its beautiful capital Manama I could clearly see and live the very Arabian world. Here I was filled with their culture as well, and everything was perfect and magic. Its people displayed the same kind hospitality I had already appreciated in Egypt. 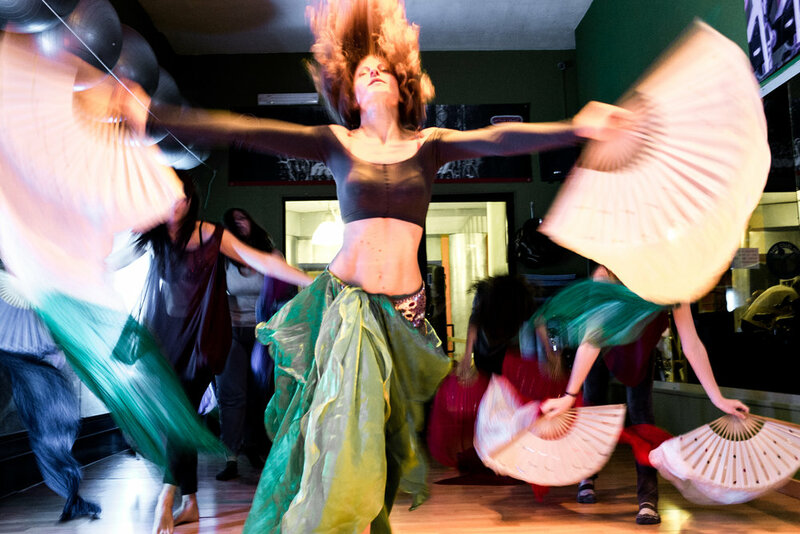 The most amazing thing I observed in Oriental Dance is the capability to get in contact with any muscular district of my body, even the smallest, as well as experiencing the wonderful magic to become harmonized with music. It also gives enormous benefits to the posture and naturally tones up with no struggle. It is wonderful to have fun, shaping you up at the same time! Another dance style I found very interesting is the Israeli Folk, danced on historical music such as Hava Naguila. 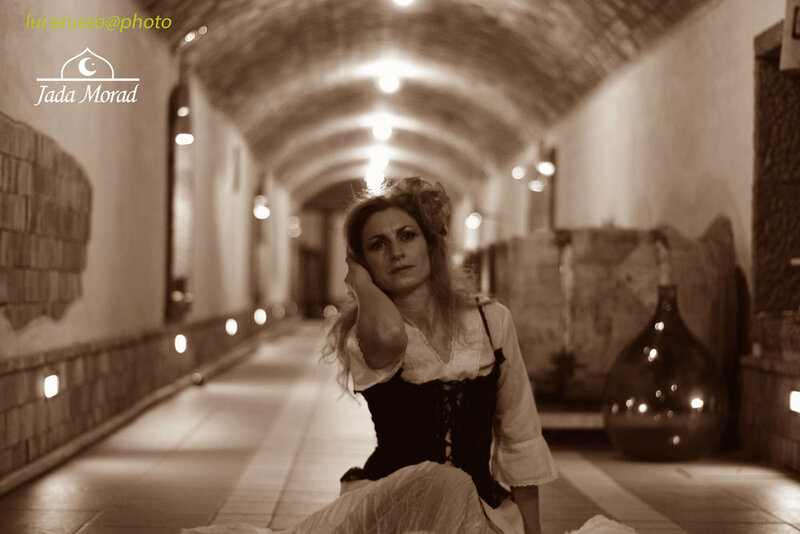 My experiences as a performer in shows are really many and they range from private parties to, theaters, folk groups performances, weddings, fashion shows and general events. It is really difficult to list them all, therefore I posted in here just some of them. 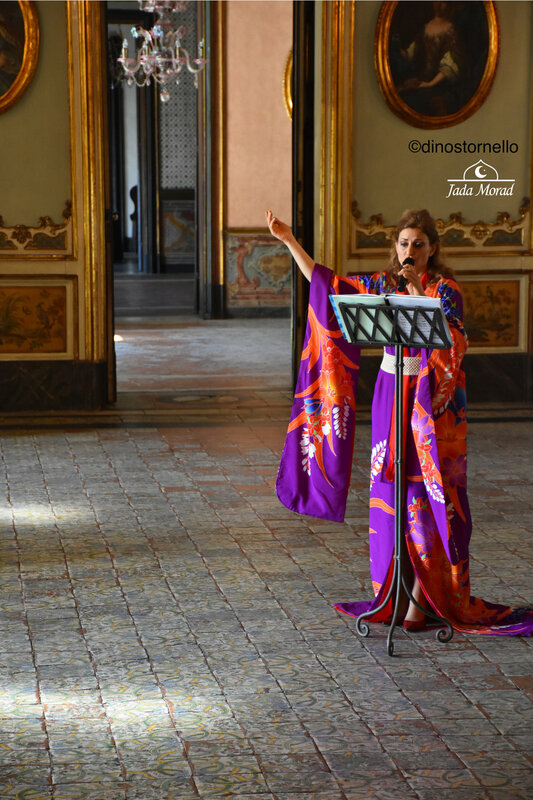 In particular, I would like to mention the theatre show of the beautiful and good actress Ornella Giusto “In Altomare” acted out in the wonderful location of Ursino Castle, Catania, Sicily. That was a special moment to me. 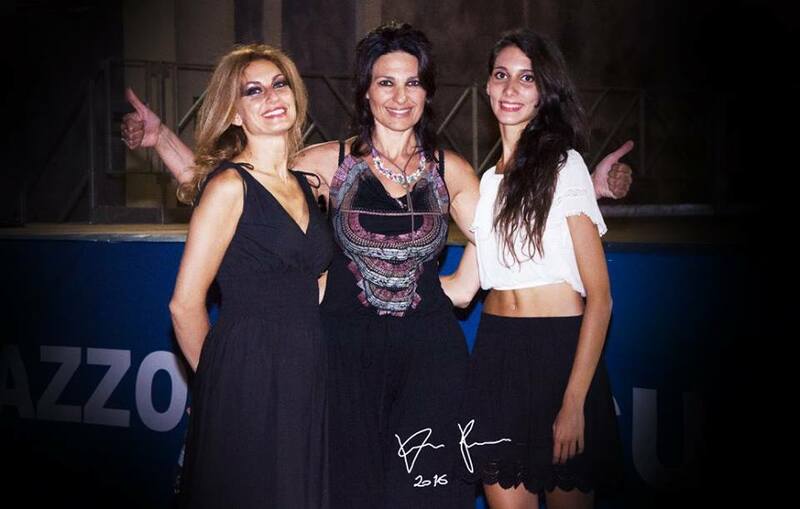 I thank Ornella Giusto and her whole staff, among whom the singer and composer Salvo Guglielmino, Ernesto Forni dancer and choreographer, Olga Stornello classical dancer, Carmelo Barchitta for the tango. An important show experience in the Israeli Dance was the participation to theXXII edition of the International Prize Silver Plaque “Antonietta Labisi”, organized by the famous Lawyer Corrado Labisi, with the participation of many International diplomats such as i S.E.Yevhen Perelygin, ambassador of Ukraine in Italy, theex ROS colonel Angelo Jannone, writer of the book “Aspettando Giustizia”; Angelica Edna Calò Livnè, Israeli journalist, director, journalist and writer and Samar Sahhar, Palestinian teacher and director of an orphanage in Palestine, who were both rewarded for Peace and Culture. The prize for journalism went to Lucia Bellaspiga, correspondent for the Daiy Newspaper Avvenire, while the prize for Human Rights went to Sergiy Fomenko, Ukraine musician. 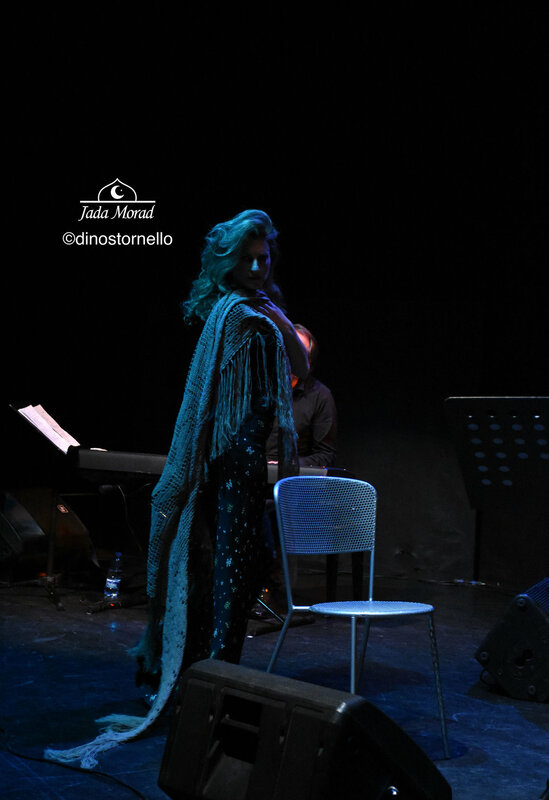 Another show worthy to be mentioned is “Vento di Sabbia”, of the theatre director Giannella Loredana D’Izzia, put into scene in collaboration with the Italian/Arabian association of Siracuse, which saw the participation of the actresses Marilisa Vergopia, Barbara Corso, Giorgia Matarazzo from the theatrical research Association “La Metamorfosi”. It also included the extraordinary participation of the dancer Lucia Zahara for the turkish gypsy dances and the traditional Tunis dances. Over time my perception of dance has evolved, so I started an interpretative research, as regards to the music pieces I use in my shows, through body and facial gestures or through a selection of non traditional music. 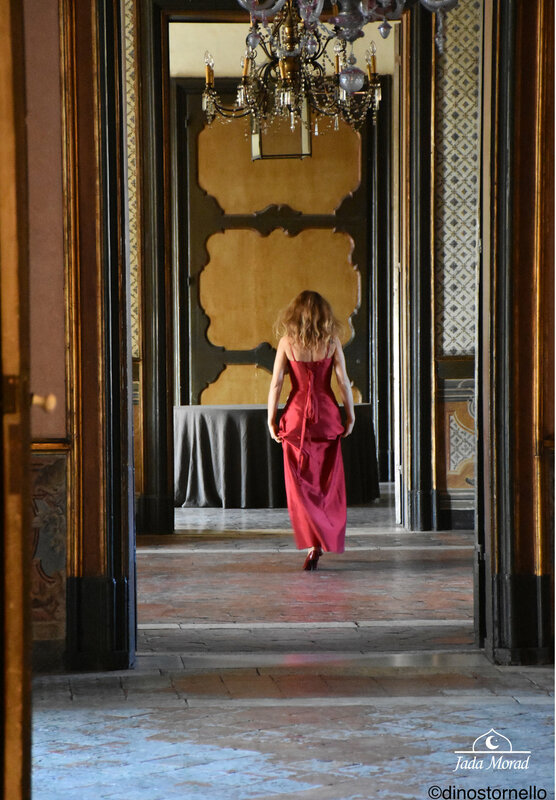 I would like to mention a special choreographic work with the dancer Stefania Presti, a Dance fusion of Oriental, modern and Theatrical dance over the classical piece “The summer of Vivaldi” revised by the composer Max Richter. My current endeavors include training in Opera soprano choir, training by Guilia La Rosa from the Jazz Accademy in Viagrande, Catania, Italy, and training in Baroque chant by the teacher, music therapist and theatrical performer Raffaele Schiavo, Syracuse Italy. ®2016 JADA MORAD. ALL RIGHTS RESERVED.